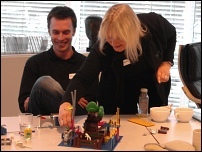 We collaborated with the Lego Group to explore the ways in which creative construction of objects can unlock feelings and insights into everyday experience, through metaphors (see Lego projects page and the book Creative Explorations). Below are photographs and comments from ten groups in which individuals have built metaphorical models of their own identities. Group 10 (24 February 2006): Unemployed / low-paid workers, Hackney, London. Held at Hackney Central, London. Groups 9 and 10 funded by the Mediatized Stories project, University of Oslo / Research Council of Norway. "I think that people see me as scary and loud. 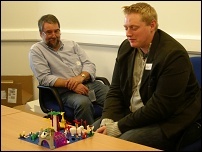 But in my Lego identity model, we can see me as peaceful, with nothing to hide. I thought [this process] was hard at first, but once you got into it, it was fine. I found that I'm more vocal than hands on. But it was most enjoyable." "I think that people see me as friendly, loyal, and honest. 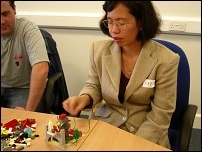 But in my Lego identity model, we can see me as passionate and loyal, strong and disciplined, knowing where I am coming from and where I am going. A model can say a lot more about you than you can say about yourself. 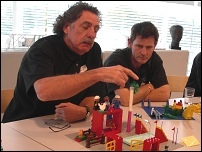 Building the model helped to see what person you really are. I chose the elephant to show that I am a stronger person than what others thought of me." "I think that people see me as stupid, quiet and scared. 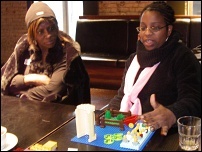 But in my Lego identity model, we can see me as [a caring] mother." "I think that people see me as very strong willed, level headed, a good family provider, and wise. 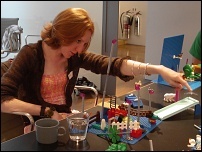 But in my Lego identity model, we can see me as someone who maybe has dealt with a lot in the past and maybe tries to hide the fact that I'm not as strong as I might think. But putting on a brave face." "I think that people see me as trouble, menacing looking. 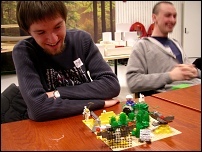 But in my Lego identity model, we can see me as a peaceful person. I just wish to get on with my life." Group 9 (23 February 2006): Unemployed / low-paid workers, Hackney, London. "I think that people see me as very strong natured, confident, and having a large family. 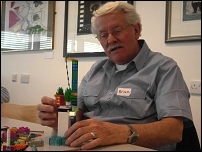 But in my Lego identity model, we can see me as just a person with a family, struggling to live better, carrying a great responsibility. It was good to have the opportunity to sit with others and express yourselves. Having to put my life in a model and show [it to others took] a bit of thought." "I think that people see me as reliable and confident. 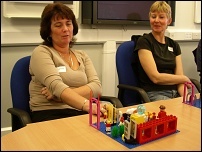 But in my Lego identity model, we can see me as not totally secure, but able to face an audience. I think I learned more about expressing myself than new things about myself." 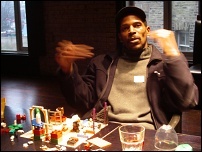 "I learn to express my brief life to this day by playing with Lego. 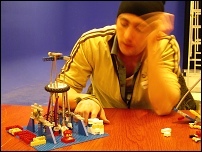 I used Lego to [show] different aspects of my life. 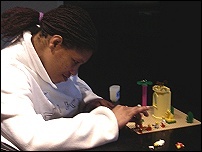 It has opened my mind that by playing and imagining through Lego that you can express your role and what you can achieve." 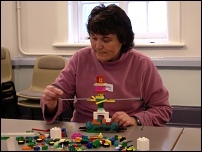 "Building a metaphorical model helped me to think more about my identity and where I am at, in this stage of my life. Perhaps this session will help me to come to terms with my father's illness and my past." Group 8 (23 January 2006): Norwegian academics, University of Oslo. 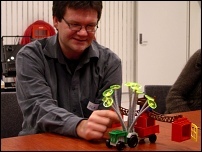 Held at Intermedia, University of Oslo. "I learned that my identity is complex but I know myself well. It was fun and inspiring." "[This was] fun, meaningful, opened my eyes. I have a big focus on family matters. 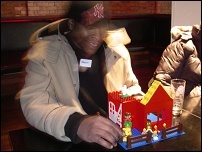 Building Lego helped me to discover my identity in new ways, see things from a different angle but it was not easy to explain it in words. And I need more time to find or express the real me." "I learned that translating my self-reflexion into artefacts/bricks makes it clear and defined – and in some cases more spelled out that I had wished. 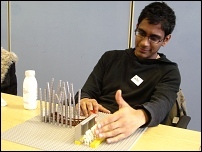 Building a metaphorical model in Lego helped me think of my identity as bridge builder – setting up a fence made me reflect upon the limits for multidisciplinary border crossing." "It's interesting to construct your own identity – but quite difficult. It's difficult to show other people your secrets. Good to see others' way of mirroring themselves. 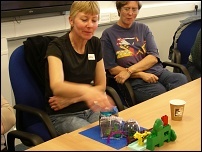 The collective sharing of metaphors describing lives was a constructive way of learning [about] others." 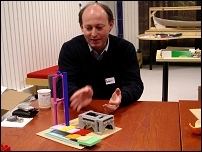 "Learned something about the role of materiality and construction in relation to quite complex ideas and relationships. The concreteness of the bricks force you to map complexity and abstractions into representations that are simple." 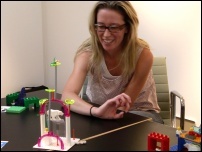 "Building a model helped me realise that we have different perspectives of our self, based on the context [in which] we appear. [I was able to see] that I have been influenced by a lot of events and persons to become what I am today." 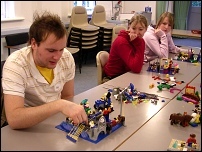 Group 7 (22 January 2006): Norwegian students in Faculty of Arts, University of Oslo. "It was a very good method for visualizing identity, because you can always go back to the construction and change, add or remove what doesn't fit. A lot easier than words." "It was a lot easier to get my creativity going than what I'd expected. 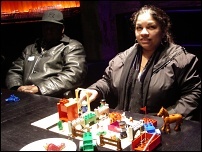 I got the point about manifesting thoughts and identity in Lego through metaphors and symbols. 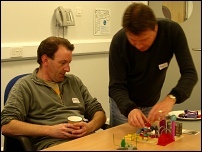 Compared with other participants I seem to have a more straightforward and less complex personality and/or identity. Which is ok."
"It's difficult to represent myself to someone I hardly know, and can not express myself as I would if I had close friends with me on this. On the other hand it's fun to be aware of how I would introduce myself to others by doing this. So it's been a positive experience." 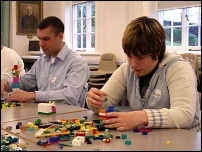 Group 6 (1 December 2005): Second year Social Care students at University of Winchester. Held at University of Winchester. 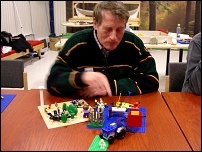 "I think that people see me as a strong person, and open and always out for a laugh; but in my Lego model we can see me as not so strong with all the things I have put as influences; and hiding away and alone sometimes. I really deeply realized that everything and everyone around me influences me in different ways. 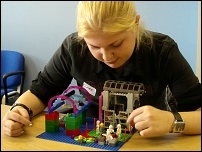 Also I know I put up a front but being able to express myself through Lego in this way was really interesting for me." "I learnt how to be a bit more creative when expressing my feelings. It puts your personality into perspective. 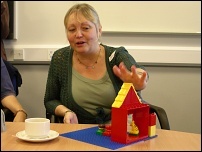 I can just look at my Lego model now and see that it has me written all over it." "Today I have learnt how you can express so much about yourself by creating something and not just talking. 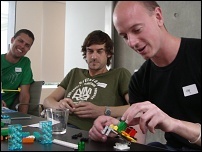 Metaphors are not something I often use and so it has been great to use them and with Lego. I have learnt today about the issues, influences and important parts of myself, some of which I had not consciously thought about before." "I liked the idea of building because it helped to form words and thoughts that I might not have been able to come up with." Group 5 (28 November 2005): All staff at the Study Gallery, Poole. Held at the Study Gallery. "Very challenging, hard work (surprisingly). Made one think of areas of life that you normally don't have time to analyse or rationalise." "I learned that deep inside I miss many people that are no longer here. I realise that I have many constants in my life which is comforting. I did not learn but reaffirmed that I have made many very good friends. I think I am reassured that I have lots to be thankful for. I did learn that I am stronger and have more confidence than I thought but that it can be fleeting depending on events. Therefore I can be vulnerable." 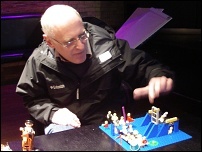 "I think that people see me as quite confident and quite full of ideas; but in my Lego model we can see me as quite separated, almost anonymous, and on a rather nebulous journey. In this session I questioned my identity and I think I have represented one side of me which is not publicly shown very often." 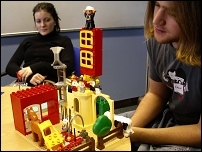 Group 4 (3 November 2005): First year Scriptwriting students at Bournemouth University. 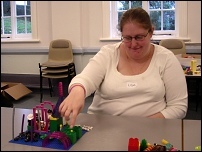 "I thought that the exercise helped to reveal slightly undiscovered feelings, concerns and hopes." "I learnt more about thinking about my identity as opposed to assuming I have one. 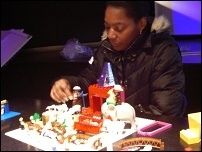 Building a Lego model helped me think about my identity, especially in relation to others." "I learnt how I view myself which can be a strange experience, but one that makes you think about your life and your history. I have learnt about my character traits and how the issues around me seem to see circulating me as opposed to being part of me." 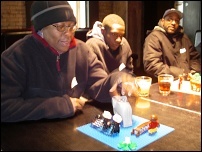 "It helped me think about the influences on my life and how they can effect me in both negative and positive ways. It also helped me think about the way I come across and how others see me." "There's more to me than I have thought before. 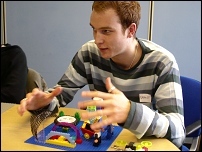 That all people have faults and fears I think building a metaphorical model in Lego surprised me - it wasn't a waste of time but in fact was a benefit in helping me engage with my own identity." 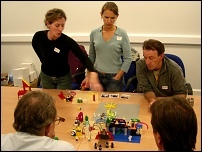 Group 3 (1 November 2005): Charity managers. 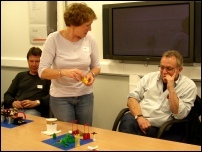 Held at RNLI building, Poole. "I think that people see me as confident, caring, and gregarious. 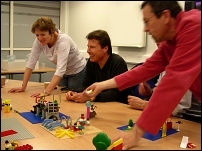 But in my Lego identity model, we can see me as not included, political, and with a small group of real friends. The activity helped me prioritise the influences on me. Helped reinforce the desire to move forward." "I learnt more about [others] and how they see themselves. [This was] perhaps a little abstract but I hadn't considered my identity in this way previously." "I was surprised what I learned about others in the team and I think it will help me to communicate with them more effectively. I wasn't surprised about my identity/influences but it was good to see it depicted in a model." 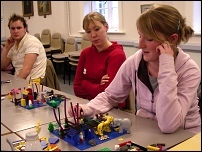 Group 2 (27 October 2005): Unemployed people. 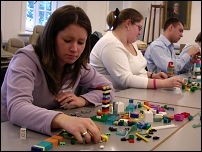 "I think people see me as selfish and inward-looking, and motivated; but in my Lego identity model, we see me as helpful and easy going, and unmotivated. 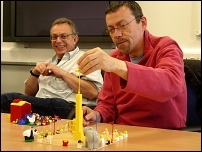 Using the Lego allowed me to relax and visualise my thoughts, although I found my answers to be surprisingly bizarre, but they make sense to me." "The session caused me to think about who and what I am. I certainly enjoyed the session and meeting others in meaningful conversation." "This did help me think about my identity. The [final] model I made represents all the things I think about, about the past and future. The door represents my future which I don't really know, I only have dreams about my future life." 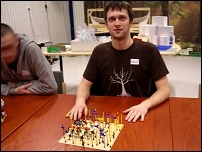 Group 1 (24 September 2005): Architects. Held at Allies & Morrison Architects, London. "This was far more revealing than I expected, and quite incredible how powerful the representation of abstract ideas could be. I learned lots about myself and probably more about others." 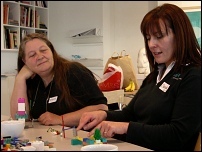 "This was useful in bring able to distil what and who you are - making what you want and need in life perhaps clearer." "I have learnt [today] that I can use different methods and metaphors to explain and try to understand different aspects of my personality, identity, and how I see things in life. One thinks in more and more complicated ways about problems and situations; [this approach] allow a far easier route to begin to understand things."